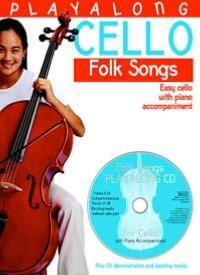 A great collection of folk songs arranged for cellists of Grade 2 to 3 standard to enjoy. There are simple piano accompaniments and the CD contains inspiring demonstration and play-along backing tracks. Titles include : Auld Land Syne, David of the White Rock, Early One Morning, Men of Harlech, My Love's An Arbutus, Pretty Polly Oliver, The Ash Grove, The Blue Bells of Scotland, The Last Rose of Summer, The Mermaid, The Minstrel Boy, Will Ye No Come Back Again?